In the fiscal year 2018, we started our 3-year Mid-term Management Plan ('18 Mid-term Plan). This Mid-term Management Plan was drawn by visualizing what we would like to be and working backwards from this ideal over the upcoming 3-year period to show how we can get closer to our ultimate long-term goals. Our feelings about this Mid-term Plan are expressed through its slogan, "Power Electronics for Your Innovation." Our slogan expresses this desire. This leads to a determination to steadily implement a variety of strategies and measures for them and to achieve a growth strategy by: developing technological capabilities; honing sales capabilities, manufacturing capabilities, and readiness for change; and producing results. By fully leveraging all of our strong elemental technologies, including semiconductor fabrication technology; IC, LED, and sensor assembly technology; circuit technology reflected in the topology of our power supply circuit boards; and systems technology for building large-scale power supply equipment, we are committed to continuing to offer products suitable for the future market in which mechanization and digitization accelerate to improve life in our society, and to contributing to the improvement of society as a highly profitable company that grows through human and organizational performance. 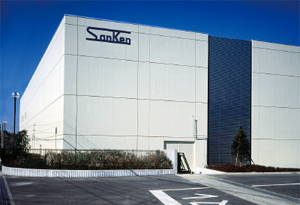 In September 1946, Sanken Electric Co., Ltd. was founded as a spin-off from Toho Power Institute for Industrial Research, a power company laboratory. We will celebrate the 72nd anniversary of our foundation in September this year. At the time of our founding, we solemnly declared our commitment "to contribute to the development of industry, economy, and culture." This conviction has been passed down and reiterated in our management philosophy, which states, "With semiconductors as our core business, our mission is to offer optimized solutions for power electronics and their related areas and contribute to the development of the industry, economy, and culture of countries around the world." 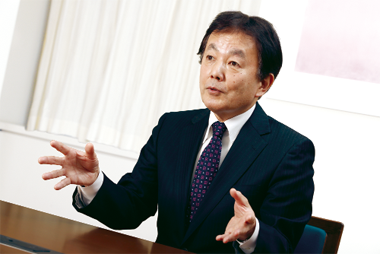 In furtherance of this management principle, we have been making CSR-related efforts aligned with the development of the industry, economy, and culture, but at the same time coordinated with such perspectives as "engagement with the challenges of society," "focused and transparent corporate management," and "conservation of global environment." To achieve focused and transparent corporate management, including the pursuit of E (environment), C (compliance), S (safety), Q (quality), C (cost), and D (delivery deadline), we thoroughly manage compliance and risk and strengthen governance. Further, we aspire to be a human resources-oriented company that respects the identity of each employee and promotes work style improvement and healthy management. The times and environment are changing at an accelerated rate, including the response to the expansion, globalization, and diversification of natural energy usage; the shift to efficient work styles; and the rise of new technologies such as AI and IoT. To survive this age of major change and to meet the social needs required of companies, we think it is increasingly important to steadily implement CSR-sensitive management that combines business conduct and CSR activities. We would like to be a company that is acknowledged by all stakeholders as a valuable company that contributes to the development of industry, economy, and culture than ever before as well as a company in which each employee is respected and achieves self-growth. Beyond current employees, we further aim to be a company that makes the current late teens who will enter the company within three years and early teens who will enter the company within 10 years say that they want to work at or they are happy working at Sanken Electric Group. We hope you read through the whole volume of this CSR Report and gain a deeper understanding of our commitment toward management and CSR.